Ring Of Elysium Review - Better than PUBG? 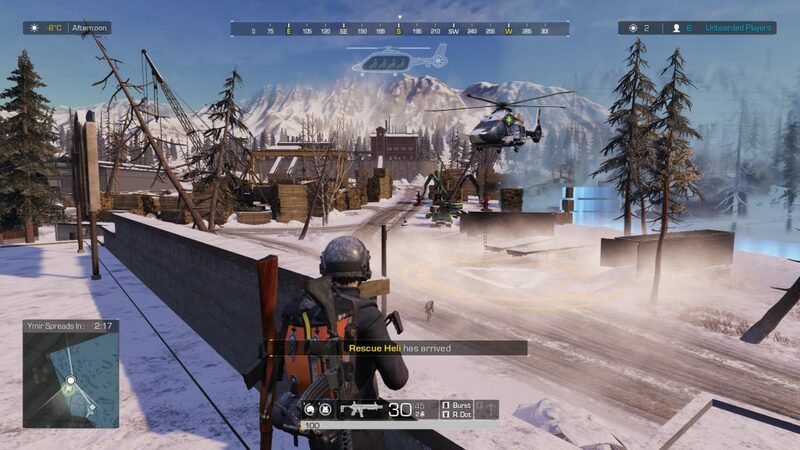 Ring of Elysium is a free-to-play battle royale shooter developed by Tencent Games (who own a stake in Bluehole, developer of PUBG). They’re the same developers who made PUBG Mobile. While Ring of Elysium is quite similar to PUBG (after all they’re both battle-royale games) there are many key differences that make it stand out. In PLAYERUNKOWN’s Battlegrounds, we all know how the gameplay goes like – 100 players jump out of a plane to various locations, loot & gather equipment, move in accordance to the playing area and the blue zone, fight against each other for the top spot, and finally get the ‘Winner Winner Chicken Dinner’. 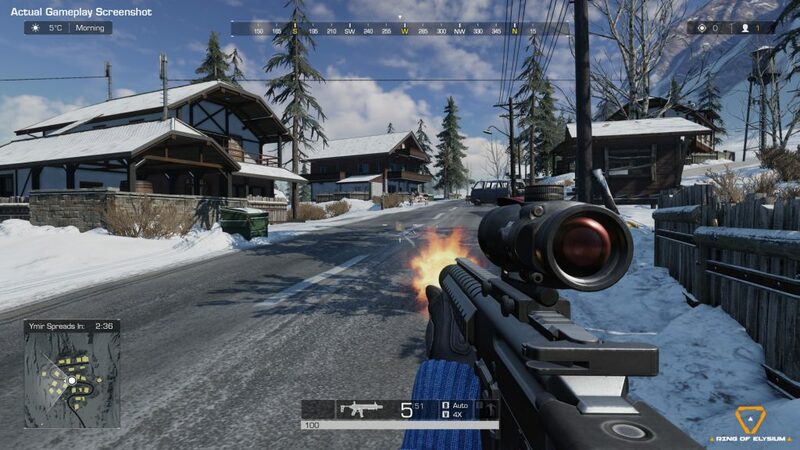 In Ring Of Elysium, while the basic gameplay is quite similar to PUBG and other battle royale games, there are many differences that make it stand out. Both games also have microtransactions, including things like season passes & player skins for customization. Good thing that both of them don’t have any concept of pay-to-win though, meaning that any money spent in-game would purely be for character customization. In terms of graphics, both games are quite similar but it depends on the map. Ring Of Elysium’s graphics are incredible and the view while gliding down from a mountain is quite breathtaking, but PUBG also excels with great visuals on the tropical Sanhok map. The gameplay, how the circle progresses, weapon mechanics, and maps are all quite different in Ring Of Elysium. Have a look at the trailer to see for yourself to see the unique mechanics present in this game. Each of these classes offers different levels of mobility, starting equipment, a unique method of transportation through the map, and capacity levels. 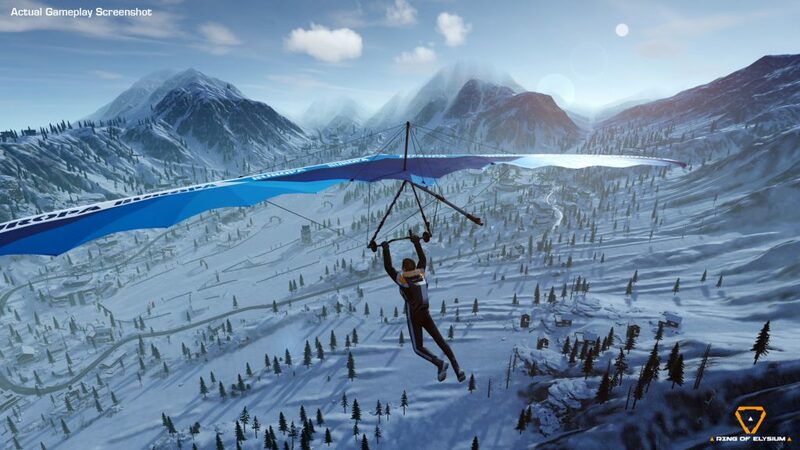 The climbing pack actually does more than using zip lines – certain areas of the map near mountains can be climbed. But in my experience, it’s too slow and often quicker to just go around that area. After using all of these classes, I found the climbing pack to be my favourite. It made travelling to the final areas much easier, and the best thing was the starting equipment – I absolutely loved having the shotgun as a weapon and getting close-range kills in the starting phase of the game. The Skiing Pack was incredibly versatile and balanced, and you can even do tricks with the snowboard. 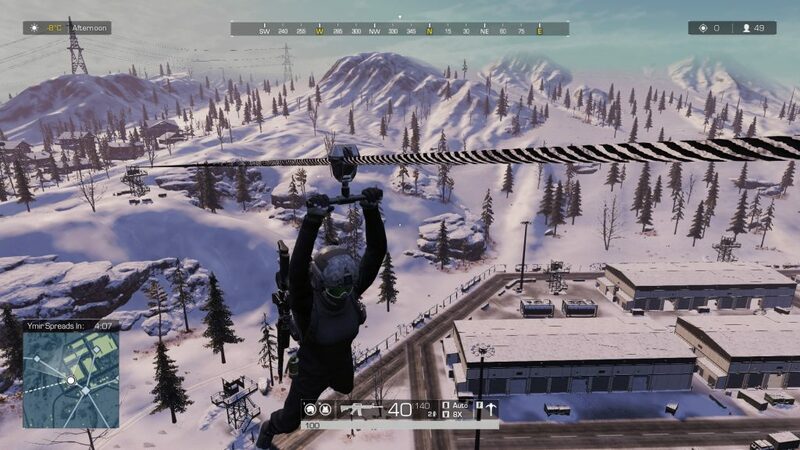 The Gliding Pack allowed me to jump from any height without fearing fall damage – it’s more useful than you’d think because there are many mountains in this snowy mountain map of Ring of Elysium. PLAYERUNKOWN’s Battlegrounds doesn’t have any classes. Nor does it have any players snowboarding, gliding in the air, or ziplining across the map. Just vehicles, which Ring Of Elysium has as well. The classes present in this game were very interesting to use and a great addition to a battle-royale game. 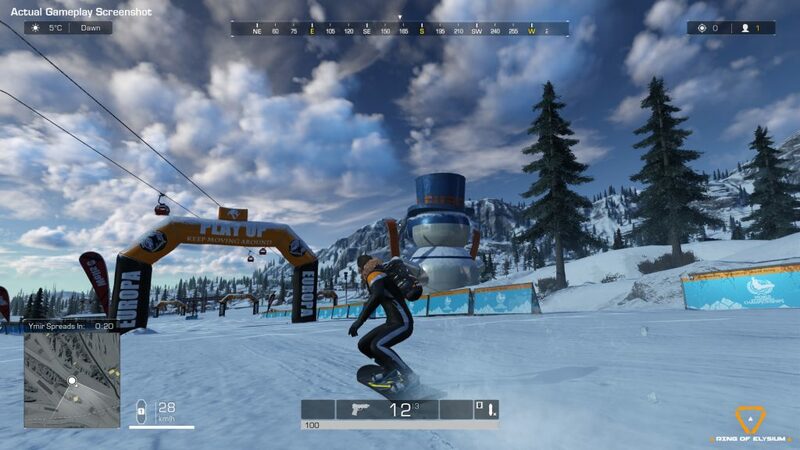 This was a major defining gameplay feature of Ring Of Elysium that set it apart from PUBG and other battle royale titles, but more differences are present in various phases of the game. In PUBG, players jump out of a plane and then start to loot weapons & equipment. 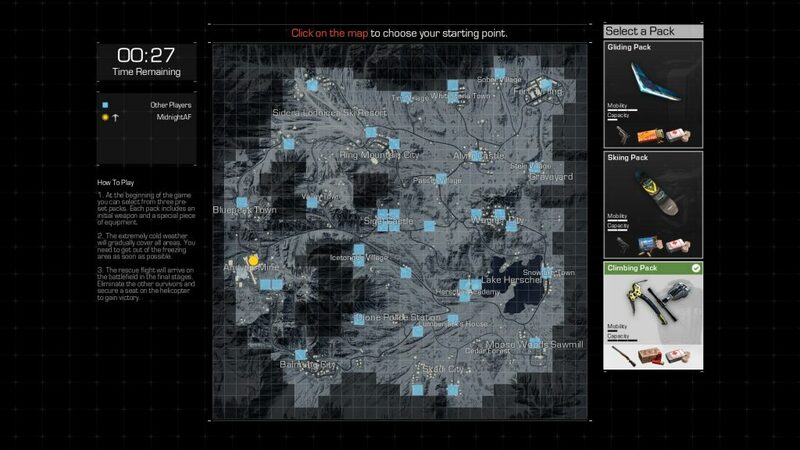 But In Ring Of Elysium, players get an overview of the map and select a location which will be their spawn point. Everyone can also see the selected spawn point of other players. Quite different from PUBG. This system allows for players to accordingly drop at locations depending on their playstyle & choice because everyone knows where most players and least players will be at in the starting phase of the game. PUBG has a blue zone that takes over areas slowly, and the playable areas get shortened in circles that keep getting smaller. Ring Of Elysium also progresses in the same way, except it’s a snowstorm named Ymir that slowly takes over player areas. It doesn’t take over the areas in circles, instead, it takes over random entire areas until a certain point at which the end-game takes place. This is where sh*t gets real. In PUBG, the end-game involves careful positioning and staying hidden until it’s only you versus the other player (or team). You’re supposed to kill the remaining players to get the Winner Winner Chicken Dinner. The circle also collapses at one point & damages players highly when it does. In Ring Of Elysium, the end-game starts when the storm takes over everything except one final player area. A rescue helicopter is sent out, which stops at a certain position and drops a ladder for players to climb. Only 4 players can board the helicopter. It’s up to the players to show mercy to their opponents & climb up to be rescued, or be a total douche and not let anyone escape except themselves. The end-game of Ring Of Elysium is much more interesting, allows for more strategies and quite literally makes more sense than what happens in PLAYERUNKNOWN’S Battlegrounds. There are a lot of weapons in PUBG, and they all have various attachments like grips, magazines, compensators, silencers, and stocks. The mechanics feel pretty realistic with things like gun recoil based on the distance, spread depending on the movement speed while firing, and tons of weapon choices. Ring Of Elysium is very similar in this aspect, except in how the weapons work. While you’ll have to try both games out yourself to notice the real difference, weapons in Ring Of Elysium feel much different than they do in PUBG. They feel more like how they would in tactical first-person shooters, like Call Of Duty. While both PUBG & Ring Of Elysium have similar weapons, the latter has some new ones like the LVAO-C, MP5, Remington 870, Mosin Sniper Rifle, G28 and a few others. You can also wield any weapon in any slot (as long as you’re using a class that supports it), unlike PUBG, allowing for more versatility. Basically, weapon mechanics in Ring Of Elysium feel like they belong in the middle ground of what Call Of Duty and PLAYERUNKOWN’S Battlegrounds has. And it’s not like it’s easier – if anything, guns in Ring Of Elysium just feel much better and mechanics seem to be more optimized than what PUBG has. PUBG started out with the Erangel map, and then other maps were introduced like Miramar and Sanhok. More maps are also in development, with PUBG Corp teasing a snow-based map at E3 2018. 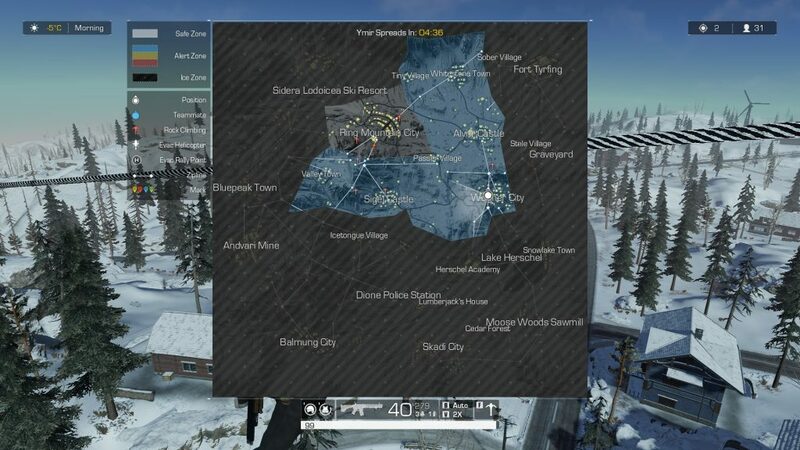 Currently, Ring Of Elysium currently only has one map which is based on a snowy terrain. It has mountains, cable cars, people using gliders & snowboards or even climbing up hills. I’d love to see newer maps coming out with similar mechanics, but in different terrains and seems like Tencent is working on these! Ring Of Elysium is a fresh take on the battle royale genre and introduces some really cool & interesting concepts like classes, unique weapon mechanics, and a gameplay that actually makes sense and allows for many new strageties. A great game, with proper updates and new content it can very well beat out mainstream battle royale titles like PUBG & Fortnite. Dota's patch 7.20 brings a lot of changes, and a lot of feelings. PUBG Mobile has a 6 hour restriction on Indian Players only?